we have a large and attractive common areas equipped with everything you need for a pleasant stay. 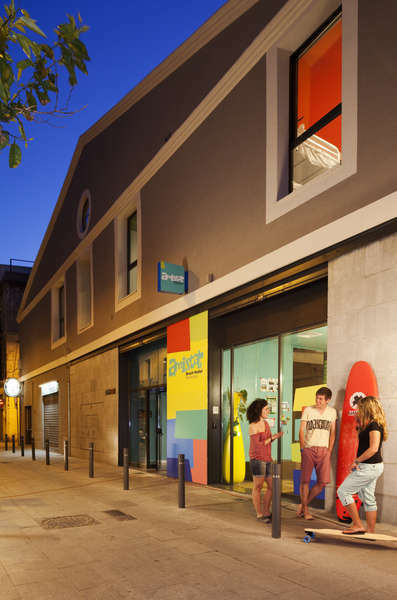 We are not just another accommodation in Barcelona, our goal is to make you live a unique experience, inside and outside the property. We have a 24-hour reception with a friendly and willing to help you with everything you need at any time. Our spaces new and modern, with excellent facilities and recent renovations. We can continue ... But we prefer you come and find out for yourself! A non-refundable policy will be applied for stays that go through high demand dates, such as Mobile World Congress (from Feb 25th to 28th), Primavera Sound (from May 30th to June 02nd) and Sonar (July 18th to 20th). 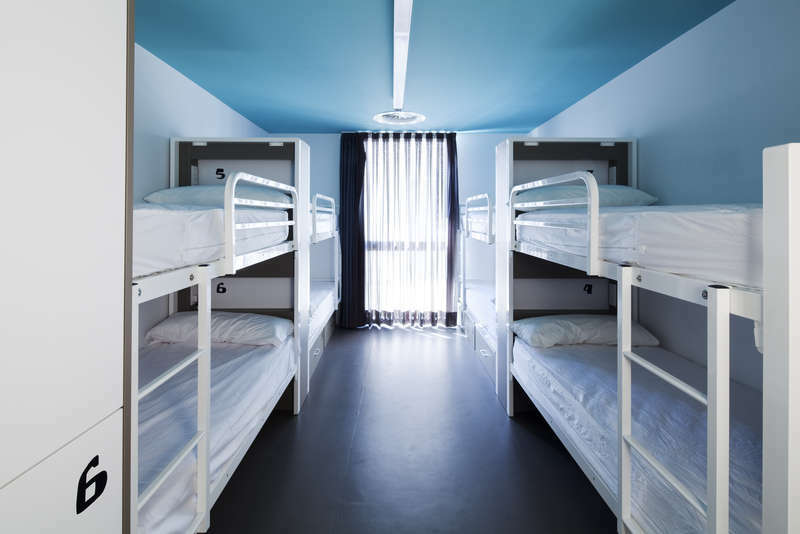 Guests under the age of 18 are not allowed to stay in shared dormitories, they must book private rooms, unless they have an express authorization from the latter. But do not worry, you can stay with us if you book a private room (remember to bring the authorization anyway). If the child is traveling alone or with another minor requires authorization signed by an adult relative or guardian, and can only sleep in a private room. The property reserves the right to require an advance payment for reservations that add more than 8 beds or which total amount exceeds € 400. We reserve the right to charge 100% of the reservation at the time of booking. 10€ deposit should be given during the checking (ONLY CASH) and it will be give it back to the client during the check out process.